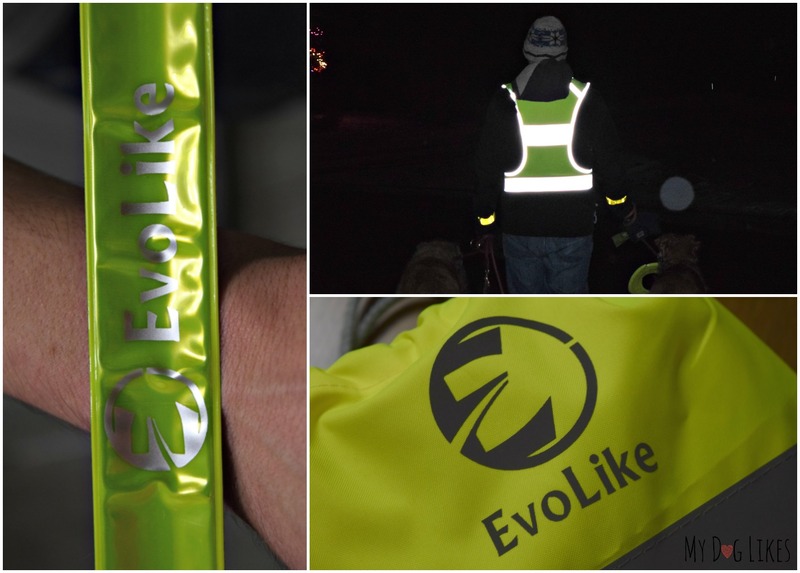 EvoLike Reflective Vest for Dog Walking Review - Staying Safe in the Dark! EvoLike Reflective Vest for Dog Walking Review – Staying Safe in the Dark! One of the biggest challenges that dog owners face during the Winter, is a lack of sunlight. Walking at night, when visibility is reduced, can be dangerous for both you and your dog. Unfortunately, working a job with regular hours makes it very difficult to squeeze walks into the daylight hours. I really started thinking about this after sitting and listening to the conversation of the hygienists at my last dentist appointment. My appointment was just after daylight savings time and it was clear that everyone has having a hard time adjusting. I heard one hygienist say “Well, I guess we are done with walks until the spring.” WHAT-our boys would go CRAZY! Its not like these wonderful people don’t love their dogs, I know they do! I am sure that like us, many of them and I am sure many of you, have had a scare or two with a passing car that got a bit too close for comfort! Not only is this frightening, but it is not fair to those drivers on the road who were likely just as startled! So does that mean that you need to keep your poor pooch trapped indoors all season? As long as you have the right gear, walking your dog at night does not have to be dangerous! Today we are going to be highlighting some awesome reflective gear that we recently picked up to help make our daily walks a bit safer. 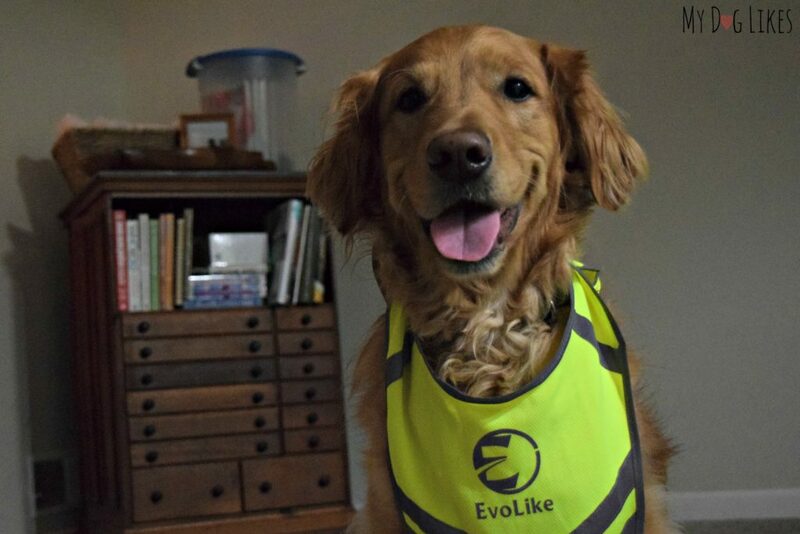 I always worry about Rachael when she is out for a walk by herself, so decided that a reflective vest would make for a great Christmas gift this year. While I was initially on the hunt for just a vest, I stumbled across this Evolike kit and I couldn’t resist giving it a try. With this 6 piece kit both Rach and I could have some protection when we take the boys out for a walk together (and the price was very reasonable!). It comes in 3 colors (yellow, green, or pink) and 3 highly adjustable sizes. Click Here to Check out the Evolike Kit on Amazon! We opted for the yellow vest in size S/M which claims to fit waists from 28″ to 43.” I figured that we would need that extra room when we’re all bundled up in our snowsuits! First and foremost is the reflective vest. Evolike’s vest is made out of their 100% polyester EvoClimate fabric. This material is lightweight, washable and fast drying. The design is an over the head style with adjustable side straps for a perfect fit. The Evolike vest has several reflective stripes in the front and back plus reflective trim around the waist and arm holes. This unique pattern gives you 360 visibility and can be seen from up to 650 feet! I haven’t seen these bad boys since I was a kid, but they are just as cool as I remember. 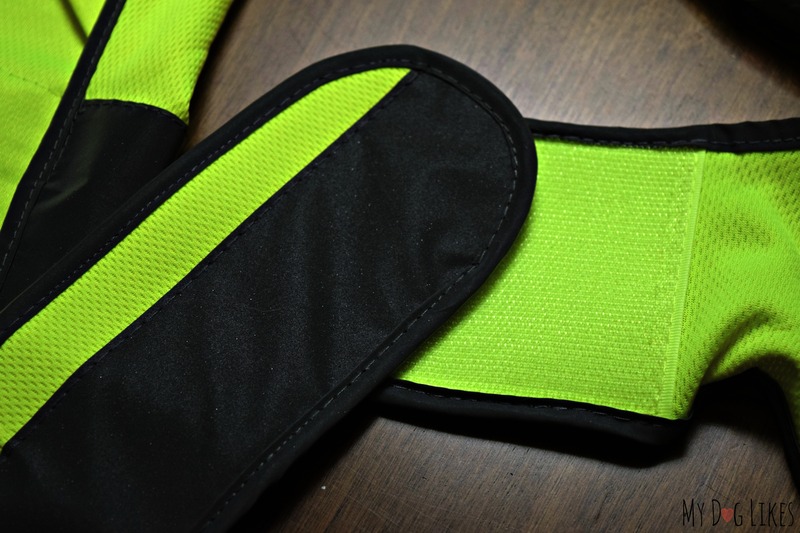 These snap bracelets are 1″ wide and 15.5″ long and conveniently roll up when not in use. When you are ready to go simply straighten them out and slap around your arm, leg or wherever for an automatic fit. These bands are also 1″ by 15.5″ but with velcro lining the interior instead, allowing great flexibility in attaching to items or body parts of many different sizes! This 10.5″ X 11.5″ bag is perfect for runners and bikers who need to carry a few things while they are out and about. It is made of the same Evoclimate fabric with a thick reflective stripe to make sure you are noticed. There is plenty of space inside for your wallet, phone keys and more. It can also conveniently store all of your reflective gear when you aren’t using it, making sure it doesn’t get lost or misplaced! We have been walking with a small blinking light attached to our leash for about a year now. While it does help to provide some additional visibility, it can often be obstructed from view by us or the dogs. We could tell by the way passing cars responded (or didn’t!) that it was clearly not doing the job. 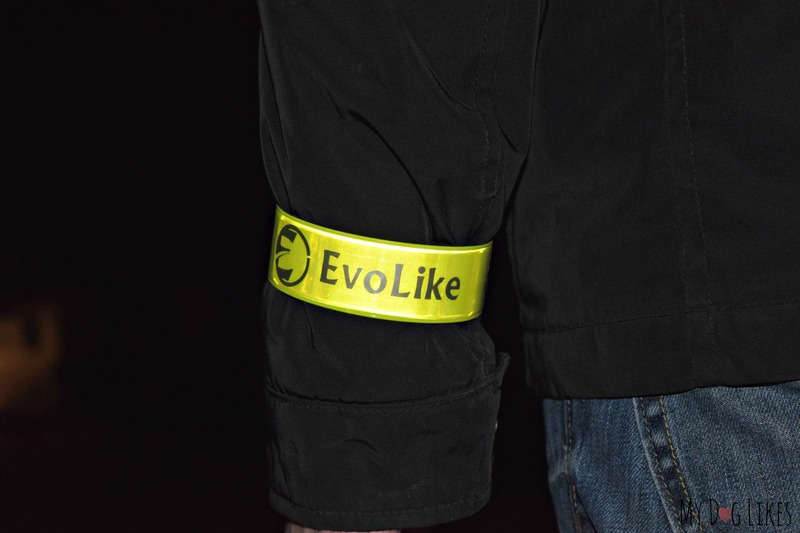 For that reason we were really excited to give this new Evolike gear a try. 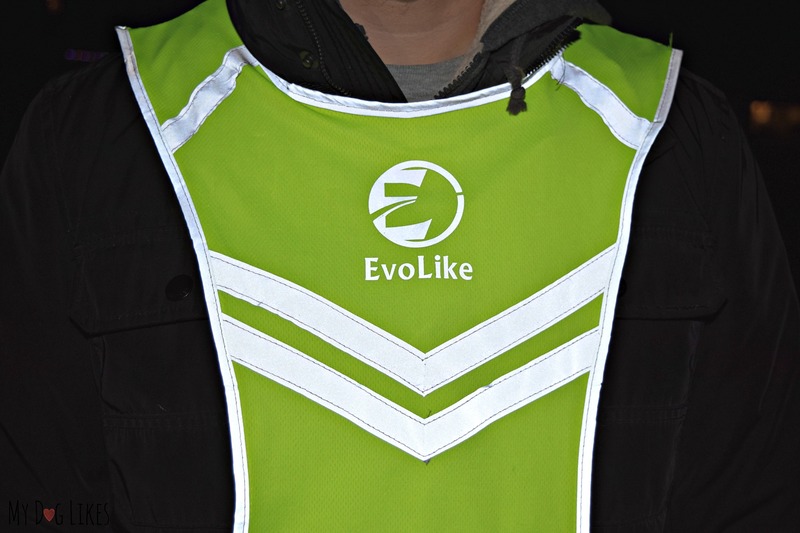 Although we have 5-6″ separating us in height, the Evolike vest fit both of us just fine. Unlike many other vests on the market this one goes all the way down to the waist instead of only covering the chest. Personally, I felt much more comfortable wearing a vest of this style than a shorter one! It takes only a second to adjust the side straps for width and even fit over our Winter jackets. We loved the snap bracelets as well and found them extremely convenient to use. I tried them with and without a thick coat and they adjusted perfectly all by themselves. We even gave the velcro armbands a try by connecting 2 and putting them around Harley’s neck. While there is plenty of reflective gear designed specifically for dogs, this actually worked out quite well! 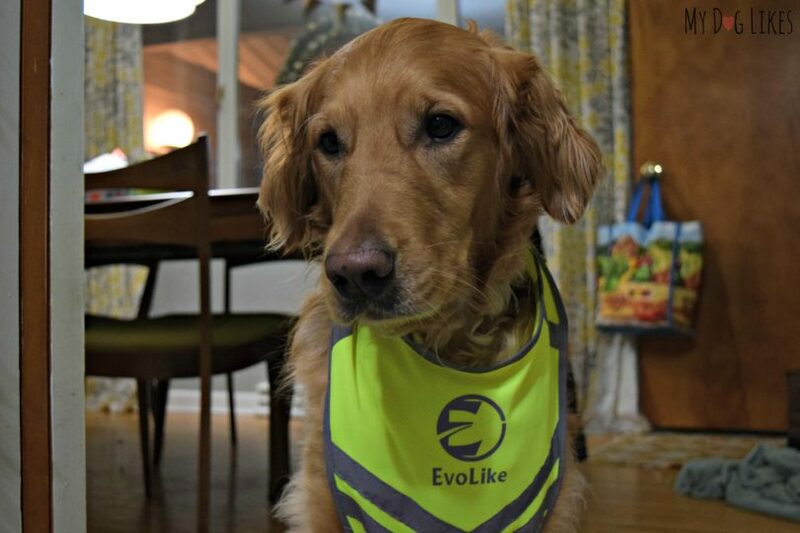 Believe it or not, on our very first walk we were stopped by a neighbor who commented on how well she could see us and thanked us for wearing our Evolike gear! Note – this vest is not designed for dogs! But it looks good on Charlie doesn’t it! Unfortunately walking in the dark is a necessity this time of year. Whether or not you have sidewalks in your neighborhood, it is still your responsibility to make sure that you and your dog are visible to other people and vehicles when you are out and about. 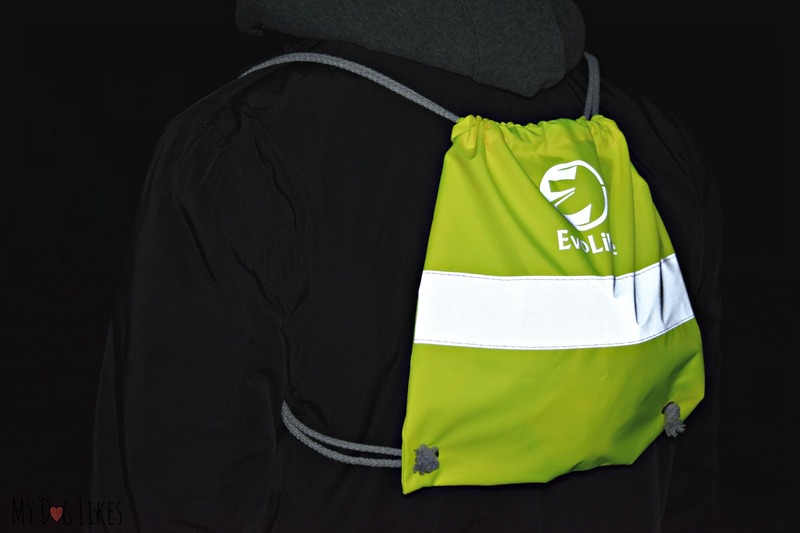 My favorite thing about the Evolike Reflective kit is its versatility. There is plenty of gear for 2 people and so many different ways in which it can be used. Between the vest, backpack and assorted wrist bands there is no way anyone is going to miss us! We highly recommend! 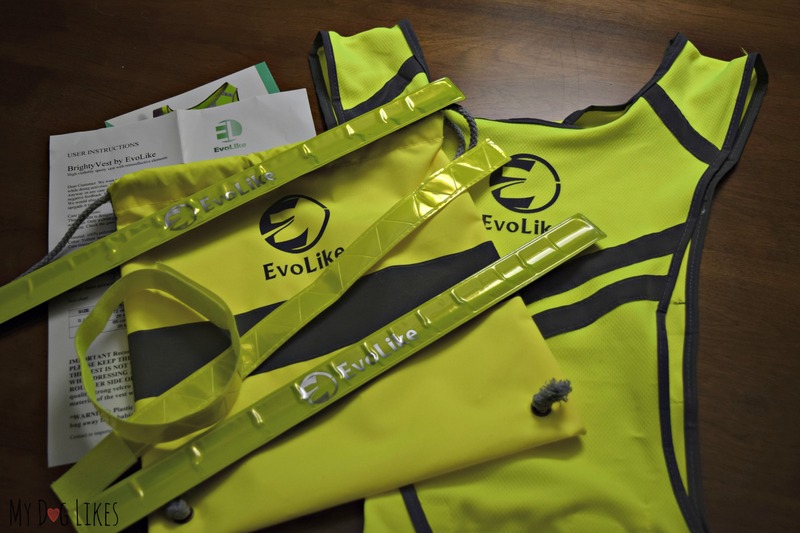 Picking up a reflective vest is a simple way of protecting yourself or your loved one! Talk about a thoughtful gift for dog lovers! Looks like a great vest! Have you seen the noxgear vests? They are also super cool, I like them because they light up. We have one for each pup and a human vest. 🙂 I’ve got a review up on my blog if you want to check it out! Stay safe on your walks! Yes! They came up in a facebook advertisement and I saw that you reviewed them/read the review you did! We would lovvvvveee to own one like that for the boys! Mom has built in lights in her running jackets for winter, and we also have strobe lights to attach to our collars that can be easily seen. We don’t understand people who are out in the dark wearing black and no reflectors or anything. It is so dangerous. We notice a difference in drivers as soon as we start wearing lights. They really do stop. I guess they figure to hit someone who was lit up would not look real good to the police, LOL! Love the sound of a coat with built in lights! I have been guilty of walking without any reflectors in the past and I know I would not appreciate it as a driver! So happy to finally have some of the appropriate gear. 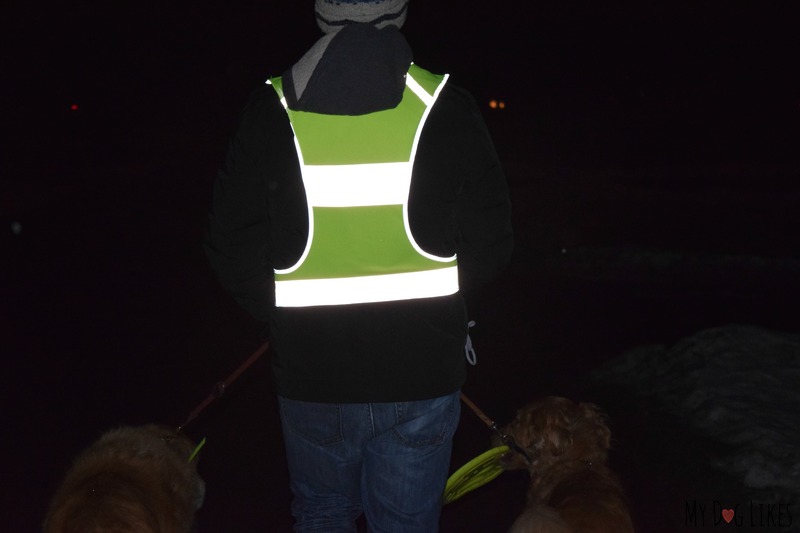 It can be very dangerous to be a pedestrian at night, reflective vests are a great way to help drivers see you. I’d love to see a vest for a dog too. Seems like a good vest. Is it sold in amazon? Thanks for sharing.